Unlike other firms, Westgate Law is not going to railroad you into filing for bankruptcy. You may have other options. Those include debt settlement or negotiation, credit counseling and hiring a law firm to represent you. Here, we detail the positive and negative impacts of each bankruptcy alternative. Debt Settlement/Negotiation: At Westgate Law, we can settle your outstanding debts for less than what you currently owe. It is important to note that debt negotiation is a bankruptcy alternative, but it’s not for everyone. You must fully understand how the process works and whether you could successfully complete the process. Most everyone would rather settle a debt than eliminate it in bankruptcy. While settling the debt is not much better for your credit than a bankruptcy filing, people prefer this option over wiping out the debt. Many clients file bankruptcy after unsuccessfully attempting to negotiate settlements. In some cases, clients have spend thousands of dollars on settlements only to have one or two creditors refuse any settlement offers. Unscrupulous debt settlement companies will promise you certain results. They will say that a creditor will settle for 20% of the outstanding balance. They fail to tell you that you must come up with the money immediately or the offer is rescinded. Even worse, you may start paying the debt settlement company to handle the account only to learn that you have been paying the settlement companies fees only. The creditor has not received any funds. After a few months of nonpayment, the creditor either decides to sue you or sell the debt to another company. Either way, the settle offer is null and void and you have lost the money you paid to the settlement company. When you hire a law firm or attorney, you have the ability to report the attorney to the state bar for misconduct. Try getting your money back from an independent settlement company. It is impossible. At Westgate Law, we have the ability to successfully negotiate settlements because we will pre-qualify you for a successful settlement process. We do not take all cases since we know that the vast majority will fail. 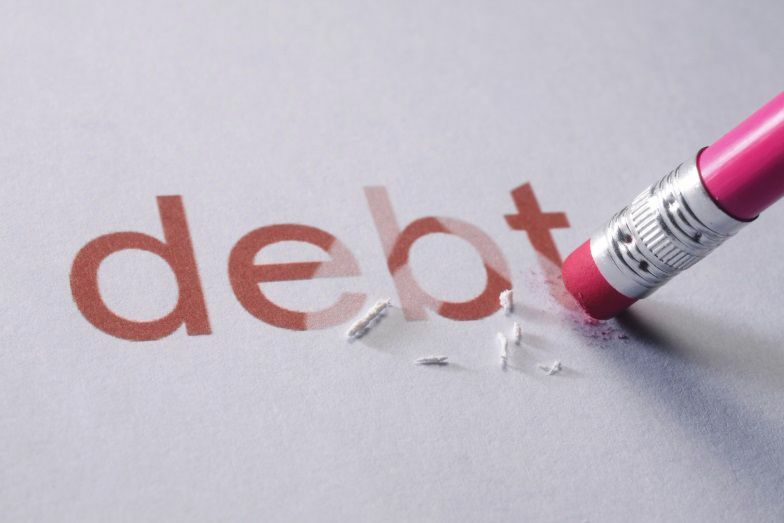 Call us today to understand our methods and procedures to effectively settle your debts. You will receive a fair and honest assessment as to whether this is a viable option in your case. Debt settlement companies will always tell you that they will settle your accounts for pennies on the dollar. What they do not tell you is that you will need to pay the settlement off in full immediately. A “settled” account is better than an account discharged in bankruptcy on your credit. You can pay considerably less than what you currently owe. If you have a lump sum available to pay the creditor, you could pay off all your debts quickly. You are on a payment plan, but fail to make all the payments. All the savings that was negotiated is gone and the entire balance becomes due. Lenders will still consider you a credit risk and either deny an application or charge a much higher interest rate. You may not properly confirm the completion of a settlement. The creditor then may sell the account to another collection agency and that agency would have no way to confirm you had recently settled the account. There are tax consequences. The unpaid portion of the debt is considered as “forgiven debt” and may need to be reported on your income tax returns. Credit Counseling: This is a bankruptcy alternative service run by non-profit agencies that will create a repayment plan on your outstanding accounts directly with your creditors. A reputable credit counseling agency will provide a thorough and unbiased analysis of your ability to successfully complete the repayment program. Make sure to only hire a credit counseling agency affiliated with the National Foundation of Credit Counseling (“NFCC”). While this does not guarantee any particular result, you know you are hiring a company that adheres to some uniform guidelines and best practices. You are not filing bankruptcy. Consolidate your bills into one monthly payment for a three to five year repayment period. Your credit score will not decrease at the time you enroll. Forces you to follow a strict budget. Less than 21% of those who enroll ever complete the repayment plan. According to an NFCC study, 1 in 5 clients successfully graduate from the program. Lenders do not consider you any less of a credit risk. Your credit report will reflect that you are enrolled in a credit counseling program. While your credit score may still be high, the accounts will not show “paid as agreed” or “current.” Lenders will still treat you as if you are inside an active Chapter 13 bankruptcy repayment plan. Future employers will only consider credit counseling to be only slightly more praiseworthy than a bankruptcy filing. Most importantly, you might not be able to consolidate all your creditors into the plan. That means you will be paying some creditors inside the program and some outside. Your budget may not support both payments. Outrun the statute of limitations: As a potential bankruptcy alternative, at Westgate Law, we will allow you to make a monthly payment to us, refer your creditor calls to us and, in many cases, never settle the debt or file bankruptcy. Once you tell a creditor that you have hired an attorney, the creditor is not to communicate with your directly again. Failure to adhere to this requirement can result in a violation and subject the creditor to legal action. Quite often, a collection agency does not want to bother suing a debtor that has hired a law firm. The agency sees this as the type of client that they do not want to pursue because he or she is likely to file bankruptcy. California has a four year statute of limitations in which a creditor must sue you in court or deem the debt legally uncollectible. Once four years has passed since you last paid on or last used the account, the creditor no longer has the right to sue you. That is what we mean by “outrunning the statute of limitations.” Hiring us may keep the creditor from coming after you and once you pass the four year mark, you are not obligated to pay the creditor ever again. Westgate Law can help defend you. We can respond to the lawsuit on your behalf and provide an adequate defense. Sometimes, the best defense is let the creditor know you hired a bankruptcy attorney. Once the creditor confirms representation, this will slow down the collection of the lawsuit.